Is car parking a waste of space? Join Bicycle Network at a special forum about fixing our cities and reclaiming space wasted on car parking. Our cities are crowded and the space we have is used inefficiently. More people want to ride bikes and our footpaths are full, except the space we need for healthy transport is taken up by car parking which is less than half used. 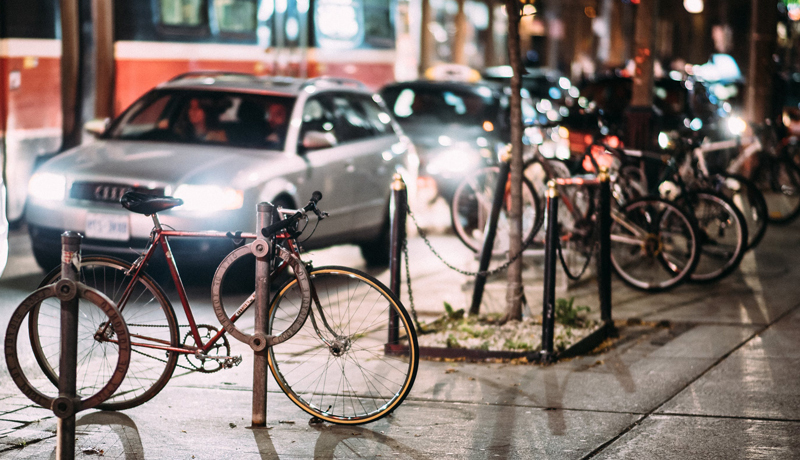 A group of experts will talk about why car parking has been given such a good run and how we’re going to change that to make our cities the world’s most liveable and improve bike riding. The forum is free for Bicycle Network members. Entry for non-members is $10.99 which can also be put towards a Bicycle Network membership. Bicycle Network’s offices are of course bike friendly. Please feel free to bring your bike in with you and use our bike parking space. Councillor Nicolas Frances Gilley chairs the Transport portfolio at the City of Melbourne. You can read more about him and his work at City of Melbourne here. Dr Liz Taylor is an urban planning academic with a high interest in car parking policy. She was involved in developing a transport strategy paper on car parking for the City of Melbourne in 2018. You can read about Liz’s work in articles in The Conversation. Rebecca Clements is a PhD Candidate in urban planning at the University of Melbourne, looking at car parking policy in Japanese cities. Her work broadly focuses on transport justice and accessibility, as well as urban governance and social equity, particularly interested in the conflicts between urban transitions and car dominance, and the role of planning in inequality. You can read about Rebecca’s work in articles in The Conversation. Alexander is Project Manager, Moreland Integrated Transport Strategy at Moreland City Council. He previously worked at the Victorian Department of Premier and Cabinet on transport and planning policy, and has also worked in transport consulting and housing policy research. Emily McLean is the Senior Engineer, Roads and Traffic in RACV’s Public Policy team. Emily is responsible for managing a range of transport related programs and providing advocacy and information services to RACV members and the wider community on issues such as road safety, infrastructure, transport regulation and traffic management. Who owns city space and how does the way space is used create conflict? How does car park pricing affect driver expectations and behaviours? How do minimum or maximum car parking requirements impact development? How do you unbundle the cost of housing with the provision of car parking? How can we improve the way space is used and what new policies can be put in place? What is the opposition to reform? Each panel member will give their point of view on the effectiveness of car parking. After each panel member has spoken the floor will be open for questions and discussion. In the mean time check out our other upcoming member events below.